Everything we expected, maybe more. Chromebooks really are hard to mess up. The OS is similar enough to Windows to make a previously exclusive Windows user comfortable. There are some obvious things like the keyboard shortcuts and missing caps lock. Those are easy enough to work around if you take the time to read the documentation that comes with the product and you do some brief Googling. The rest of the OS is very intuitive and easy to learn. So far, it's done everything we have needed it to. The most awesome piece is the boot time. When you're used to Windows, even with an SSD you can be waiting 10+ seconds (30 or greater for regular magnetic spindle disks). With the Chromebook, it seems like is always available - more of a service than a machine. The keyboard feels a little off. It may just be that I'm used to a full-sized keyboard (use one every day for work). It's also a bit small, but that's also what I paid for. Bottom line is this: we've already justified this purchase 2-3 times and have only had the machine a couple weeks. If that changes, I'll update this review, but for $159 good grief, you're not going to find something that works better. 5 Stars - All of the features I mention are included IMPORTANT - if you need a touchscreen, then you want the slightly different and smaller model, Lenovo C330. Price - Amazingly low price on sale new for $159 Fit and Finish - seamless edges, fingerprint smudge resistant, matte display, strong hinge, magnetic closure, simple and unobtrusive black color. Pleasing to the eye. Typing - large touchpad, very spacious full-sized keyboard (minus numpad) with deep, tactile key feel. There are tool and utility keys lining the top. Display - Big 14", sharp, vibrant and clear, everything is easy to read. Non-reflective matte coating. Chrome makes it easy to zoom if you need. No screen ghosting during fast moving videos and games. Limited Viewing Angles to be expected at this price point. Connections - There is 1 USB 3.0 port, and a separate newer USB-C port for charging with the included tiny brick AC adapter, that with led that turns orange to green when finished. This charging cable may be flipped upside down unlike older USB ports, and the cables are long. On the same side is an HDMI connector and port for SD cards. On the opposite (right) side is the standard 3.5" audio input and security lock. There is also bluetooth for connecting to audio devices, game controllers, etc. If you need to connect multiple USB devices you will need an external HUB to make more. Sound - the twin 2W speakers are clear and loud when needed but as always headphones or external speakers help. Bluetooth and stereo audio connector make this easy. Battery Life - Chrome OS is built for battery life, unlike Windows 10 or Mac OS. The ARM architecture is far more efficient than x86. This notebook will last sunrise to sundown. Performance - The type of processor in this particular notebook, ARM Cortex-A72, is much more energy efficient than x86 (Intel) and much more reliable than Apple's custom processors, without sacrificing performance. It is native 64-bit, meaning it uses its entire system memory and fully supports multi-threaded applications. Solid state disk technology, double data rate random access memory, dual-band wifi antenna, nothing was looked over. It will play the vast majority of 3D games on the Google PlayStore provided they have mouse/touchpad/keyboard support (and a lot of them do). PUBG, a very demanding title runs great at lower settings. Asphalt 8, a great looking racing game ran smoothly at High settings. War Robots, a busy multiplayer action game never skipped a beat. User Experience - Speedy, Simple, and Stable. If you want to get away from slow Windows or Mac operating systems and you want a great deal, the Lenovo S330 is perfect. The Play Store has millions of apps. this is a great chrome because it not that much money. and it the perfect screen for me. this chrome have a touch screen and you also can get a styles to protect from getting stretch. if you guys do not like it sale it, you can sale it for more then 180. You can sale it for 220 dollar. that can be worth for a tablet, iphone 6 pulse. Thank you for choosing the Lenovo S330 Chromebook, model number 81JW0001US. This model does not have a touchscreen. I work on PCs and Macs. I'd never even seen a Chromebook. I bought this for a lady who needed a new computer. Her only use was using the Internet, email, and documents. I set it up for her. I LOVE this Chromebook. It's really fast, and very easy to get used to. The ONLY drawback is that it only has 1 USB 3.0 port, although it also has a USB-C. It's light, I really like the 14" screen. I liked it so much, I bought my own Chromebook to replace an older Win 7 laptop. I would have bought this one in a 2nd, if it had 1) a second USB port, and 2) an Intel processor. If you don't need those, this one is GREAT! The Lenovo S330 Chromebook ships with one standard USB port and one USB-c port. If you need more standard USB ports, you may want to consider using a USB Hub with this device. This model, the S330 uses a powerful Quad-Core MediaTek MT8173C processor, with a processor speed of 2.1GHz - Great for Cloud-based computing. I have loved my Lenovo Thinkpad 13 Chromebook for the past two years, so I bought this thinking that it would be a good computer for my home office. Unfortunately, this Chromebook is nothing like that one. It is much slower processing, it does not pull in a good Wi-Fi signal that other smartphones and computers get easily, and the keyboard is much less responsive. I love Chromebooks, but this is not a good one. 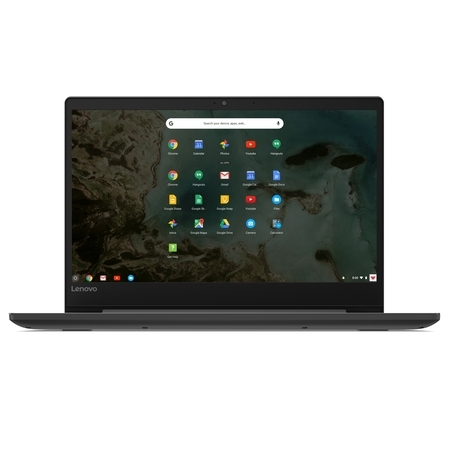 The Lenovo S330 Chromebook, model number 81JW0001US, ships with the Quad-Core MediaTek MT8173C processor, supported by 4GB 1866MHz RAM. This processor has a speed of 2.1GHz. The Lenovo S330 Chromebook ships with the latest, 5G 802.11AC frequency WiFi, the fastest available. I bought this 4 months ago and the trackpad didn't work from 2 weeks ago. As I used MAC for 9 years so I think I know how to care it. I called Lenovo and they asked me to ship it to them and I have to pay the shipping cost. I don't understand why I have to pay for it. Does it make sense? They keep recommending to upgrade warranty at $41.59 before tax... If I knew their policy, I would've not bought it. We are sorry to hear that you are having issues with the touchpad on your Lenovo S330 Chromebook. It is possible that the issue you describe is software based. 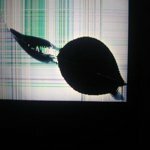 Here is a link to instructions for fixing touchpad issues on a Chromebook: https://support.google.com/chromebook/answer/1047367?hl=en. If the issue persists, we recommend you contact Lenovo Tech Support at: 877-453-6686. Every single Android app crashed constantly. The screen broke within a month after grabbing it from the screen. Very fragile screen. Will not purchase Lenovo again. Right out of the box it got stuck on the language choice screen. Called a Lenovo customer service number and was told it was an incorrect number. Went to another number to chat, and the person on the other end thought I was talking about a printer, then wanted to charge me $5. I packed it all back into the box and am returning it. Horrible customer service, terrible instruction piece of paper. This chromebook has a constant annoying buzz. I even returned the first one and the new replacement does the same thing but worse. its much louder i can hear it in from couch streaming a show with the computer 6 ft away and the sound for the show coming from an external speaker. (this was never a problem with my old samsung or acer chromebook but those only lasted a year . i was hoping this lenovo would be better all around.) I should have kept the first one but I called Lenova direct and they said it shouldnt buzz. the buzz is coming from under the keyboard not through the speakers. There is definately some internal hardware flaw. the buzz gets louder when using the mousepad or external mouse. i even tried muffling it by putting a towel on top of the keyboard, which didnt work of course but im desperate. The replacement computer doesnt work as well either the mirroring is off and color and it even seems slower and espon print worked differently on it. . I should have just kept the first one. Lol i cant wait until this chromebook dies and I can get a new one! i found no fixes searching online either. turning Bluetooth on or off did nothing which was one suggestion. I like my yoga lenovo and 11.6 inch c330 convertible chromebook no buzzing there. lenovo dropped the ball and high standards on this shotty unit. beyond disappointed. glad i got it on a black friday special at least 129$. 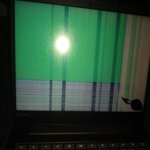 We are sorry to hear that you are having issues with your Lenovo S330 Chromebook. We recommend you call Lenovo Tech Support for help with your specific issue at: 877-453-6686.